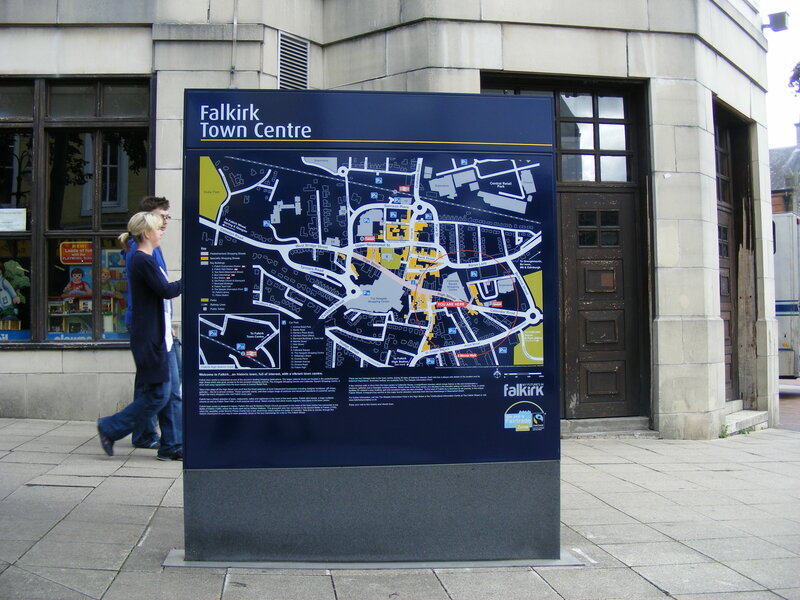 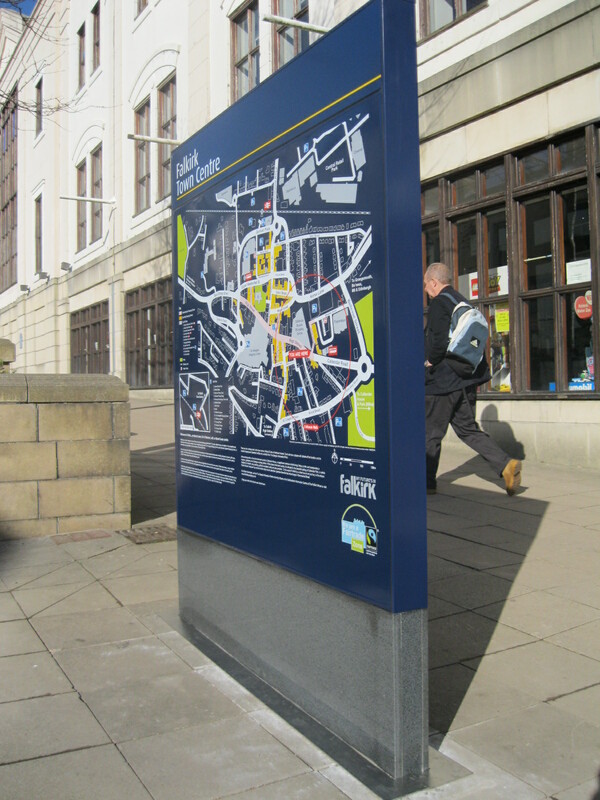 Ironside Farrar Environmental Consultants specified vitreous enamel graphic panels and granite bases for Falkirk Council’s Falkirk Town Centre Signage. 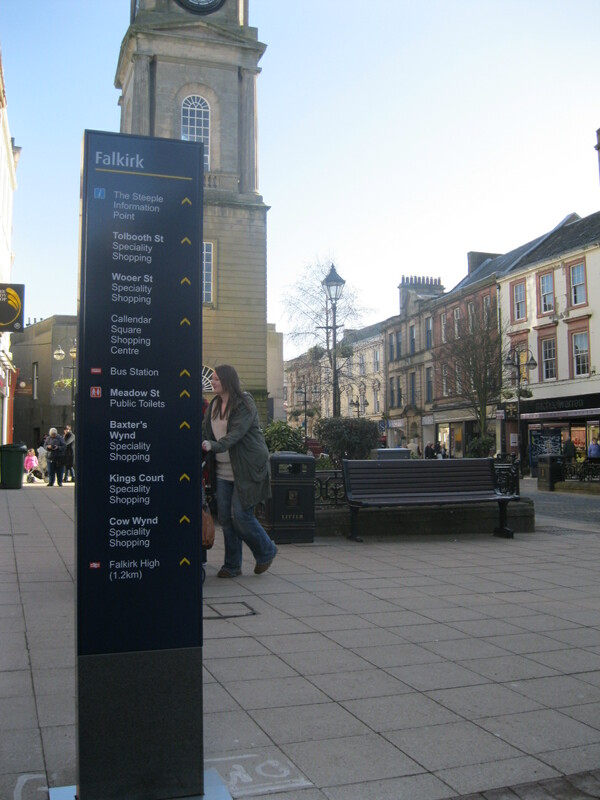 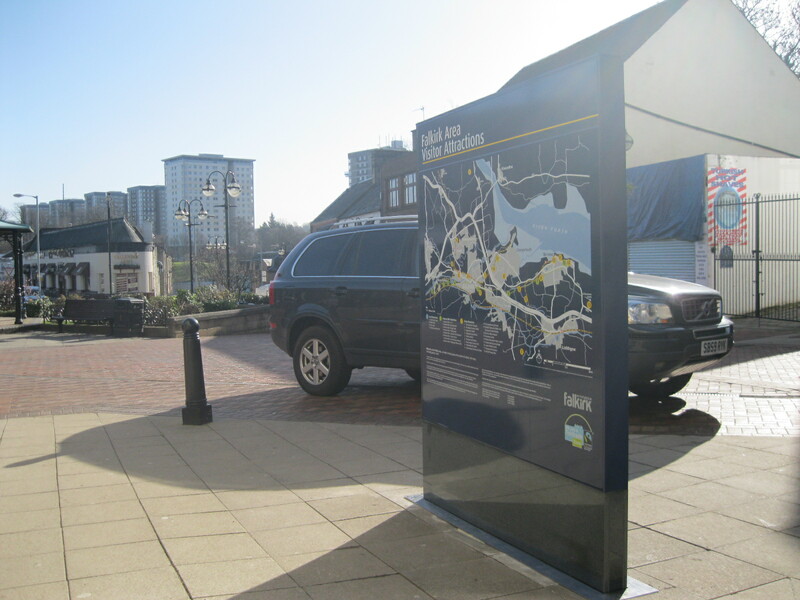 The sign family created provides the missing link between key Town Centre arrival points and Visitor Destinations, promoting pedestrian linkages and connections to key historic sites within the town. 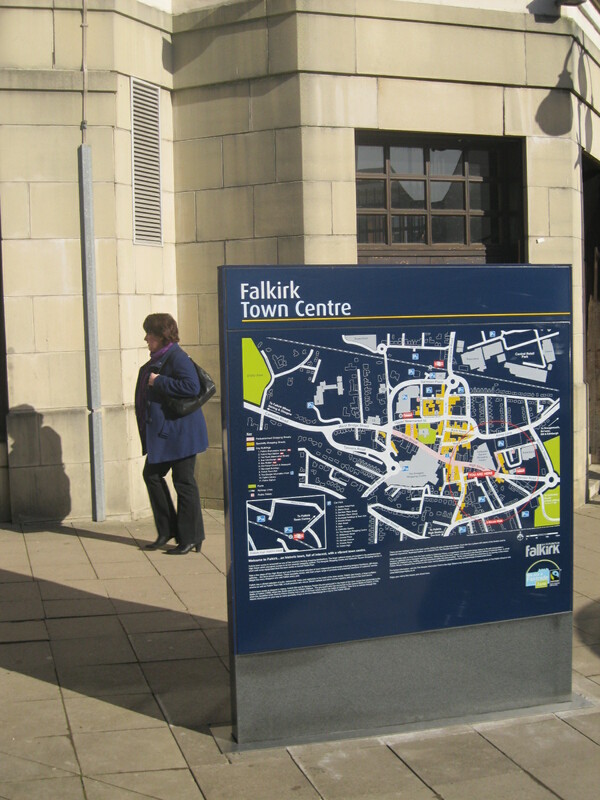 Won in competititive tender, Navigator Signs were resonsible for detailed design, production, installation in the public realm, and maintenance of this family of sign types.